Located on 20 acres in Central Virginia atop a hill overlooking a large fishing and swimming pond. This 100 year old property came into our possession Fall of 2007 and it has been a work in progress for Kathy, Kevin and their 2 boys. What they loved was the old pecan, walnut and pear trees, the bungalow style farmhouse and rolling hills. 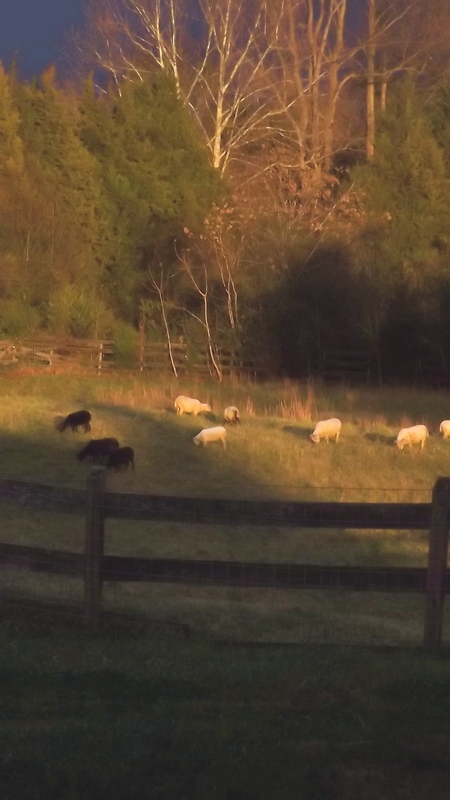 They raise registered Shetland Sheep, Angora Rabbits, Cashmere Goats, a few chickens and dogs. Kathy has a line of hand dyed yarn, knitting patterns, roving and a line of dyes she distributes under the name Scarlet Fleece. Former owner of Holly Spring Homespun-Kathy moved her business into her dye studio on the farm where she dyes, labels and ships her luxury yarn. 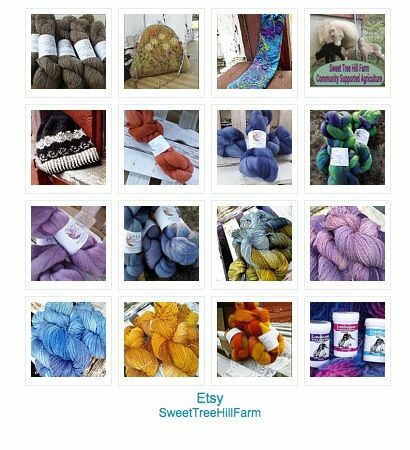 A true working fiber farm-Kathy is hoping to get her idea of Hilltop Shetland Yarn, along with roving for spinners, handspun Angora and painted yarns and line of original knitting patterns. Visit the Farm Shop for new products.